The Barn Owl Players is now an exciting amateur drama group in Kilkenny with a hunger to explore theatre and its boundaries for an ever-growing audience. The group is led by an elected committee through which an annual programme is devised that will challenge the members and theatre projects both traditional and experimental – whether this be the material, the space or the inputs from professional practitioners. Christmas Crackers, a real treat presented in the transformed Barn – an intimate club with stages at both ends of the room and where audience members sip mulled wine and Christmas treats while viewing an eclectic mix of monologues, excerpts, poetry and music from the strong cast. 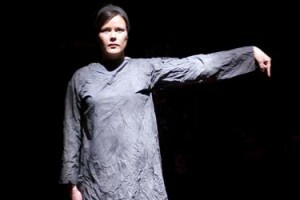 Full-length play, a huge challenge to the members to mount and produce a play on the Watergate stage – The Whiteheaded Boy by Lennox Robinson, Dancing at Lughnasa by Brian Friel (29-31 March 2012). The members of the Adult Theatre Club are welcomed into the BOP in their second year of training and development. BOP also engages with other local actors for specific projects. The next in-take of adults is September 2012.